When setting up a new Google AdWords campaign, the first thing you need to do is spend time researching the correct keywords to trigger your ads. 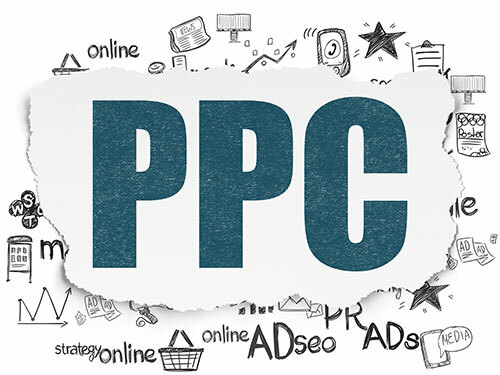 Each ad group requires a list of unique keywords, and these keywords can be included up to four times depending on the parameters you place on each one. When setting up a new campaign, I generally start with a small list of keywords which I will expand upon at the same time as separating keywords into micro campaigns, where a stronger focus can be given on a particular set of keywords, the ad and the associated landing pages. There are 4 different keyword match types in Google AdWords. Each include advantages and disadvantages. It is very important to understand when and why to use each one. Below, I have attempted to set out clear and simple definitions to give a basic guide for you to use them effectively. 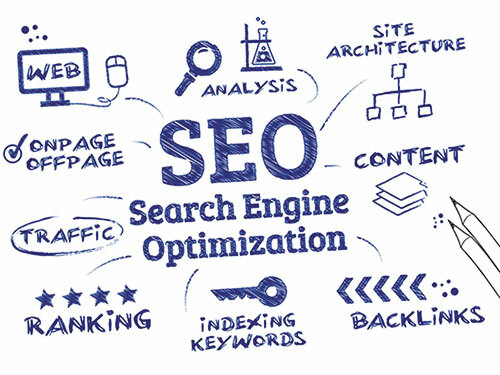 Using Broad Match will cast the widest net and be most visible in Google’s search (engine) results pages (SERPs). If your listed keyword uses more than one word, your ads will appear whenever a search is conducted that includes any word of your key phrase, in any order. It also allows misspellings and synonyms to trigger your ads to appear. For example, if you use broad match on the keyword mens shoes, your ad is eligible to show for searches such as mens trousers, ladies shoes or mens biker boots. Using Broad Match type keywords will return the most volume of clicks. But as you can see from the examples above, this is not going to provide the best quality traffic. Broad Match is set by default. This is a problem for someone attempting to setup a new campaign with limited experience or understanding on how this works. Broad Match the most clicks and traffic to your website landing page. But the traffic will by definition be quantity over quality. It also leaves you paying more money to Google. Reviewing search terms and creating a negative keywords list is essential when using broad match type keywords in your Google AdWords campaigns. The Broad Match Modifier type was introduced in 2010. It works similarly to Broad Match keywords with a more restrictive nature, allowing you to have more control on the wide net you are casting. By adding ‘+’ to any amount of words, you are telling Google you only want your ad to show when words with ‘+’ appear in the search query. The query can include the words in any order be in any order, but it must be included. For example, if your keyword list included the following Broad Match Modifier +mens shoes it would only be listed for search queries including the word mens, i.e. mens trousers, mens biker boots. But not ladies shoes. This can be even more effectively employed when your keyword phrase includes more than two words. By using two broad match modifiers, i.e. +mens biker +boots your ads will show on searches for mens biker boots but not mens biker jackets. Where keywords to focus on include more than one word, I would strongly recommend using the broad match modifier over broad match type keywords. Phrase Match allows you to control the keywords in that your ads will only appear when a user’s search includes all included keywords in the correct order. But it also allows for additional words to be included in the search query. To use the Phrase Match, each keyword or phrase needs to be surrounded by quote or speech marks, i.e. “mens shoes”. For example, “mens shoes” would only be listed for search queries including both keywords in the following order mens shoes. While your ads could appear for the following search queries: mens black shoes, mens size 8 shoes, mens dress shoes, they wouldn’t be included for the following search: shoes mens size 8. Phrase Match is best used where two or more keywords are required. But be aware that if the keywords are in the wrong order, your ads will not be triggered. Exact Match is the most restrictive of all. But in terms of Google rewarding and ranking your ads, according to what users are searching for, they qualify as most important. To use the Exact Match, each keyword or phrase needs to be surrounded by square brackets, i.e. [mens shoes]. But as far as AdWords advertising goes, Google has recently changed the definition of exact match. Until earlier this year, if you used the Exact Match type in your keyword list, your ad would only show if the search query matched the keyword exactly. But Google highlighted that advertisers were missing potential traffic where search were conducted including misspellings and abbreviations. Google now include, what they term close variant matching to trigger ads using exact match keywords , even though the keywords aren’t necessarily an exact match. Exact match keyword ads will also be triggered when phrases are reordered and when function words are added, removed, or changed. 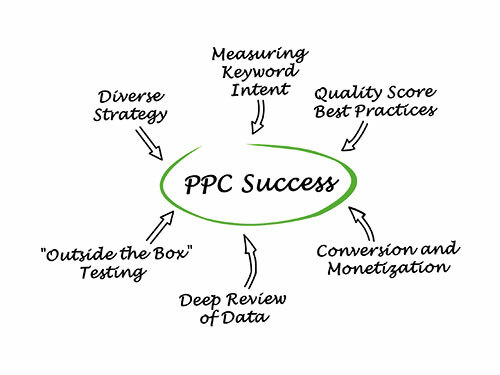 I hope this brief explanation clearly sets out the definitions and importance of how and when to use each keyword match type, and in doing so helps you in setting up and managing your Google AdWords campaigns.